Chris was diagnosed with Asperger's Syndrome in 1998 when 20-years old before graduating from Northumbria University with an MA (Hons) in Information Management. Chris was appointed Operations Manager at Autism Works in September 2010. Chris was an active member of the External Reference Group seeing the Autism Bill successfully become an Act of Parliament in 2009, bringing an essential law into place. Chris has also written two books on Asperger's Syndrome and his experience of living with the condition. Chris keeps a blog on his time at Autism Works and also keeps a site covering his advocacy work. Is a qualified Test Analyst and has extensive experience in software testing having worked on many systems including several years at the Passport Office. Chris has a PhD in Computational Inorganic Chemistry and is training to be our Test Manager. Chris keeps several blogs including one on his thoughts on software testing, you can find links to them all here. Dan is an ISEB qualified Test Analyst and also looks after the technical development of our website and testing tools development with a particular interest in mobile testing technologies. Daniel graduated from Northumbria University with a BSc (Hons) in Internet Computing in 2006. Dan keeps a technical blog - Test Igniter where he shares technical information on Software Testing and has a huge following. Angela has over 15 years of experience in Software Testing covering all aspects of software QA from planning to building test cases to test execution. Angela holds a number of IT qualifications including ISEB Foundation in Software Testing and has worked on may different systems including Digital Mapping technologies. Angela works with us as a Volunteer to help us become sustainable. Formerly a Director at Newcastle based IT company Croft Technology plc (now TSG Enterprise Solutions), Peter spent many months working with staff and students at ESPA and recognised their talents and abilities within the autism spectrum. From this experience, Peter created Autism Works with ESPA to build a Social Enterprise with the goal of offering sustainable employment opportunities to people with an ASC in the field of software testing, and other IT tasks. Peter is convinced that the positive traits of autism will provide business and society with a valuable set of skills often not found in the workplace. Peter thanks the staff and students for giving him the inspiration and the IT industry for being the springboard! Lesley is a Director on the Autism Works Board as well as CEO for ESPA. A qualified Occupational Therapist, Lesley has worked with people with autism and learning disabilities for over 25 years. Lesley was appointed to ESPA in 1995 as Development Manager and became Chief Executive in 2006. Lesley envisioned the next step for ESPA was to support people with an ASC further into independence and developing employment opportunities is a key priority. A Chartered Accountant, Karl previously worked in practice and industry before joining ESPA in 2004. As Finance Director and Company Secretary to Autism Works, Karl supports the business development of the company and is responsible for the financial management. 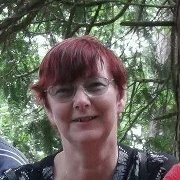 Lynne has over 30 years experience of working with children and adults with ASC as a Psychologist, working with ESPA on a consultancy basis and is Senior Lecturer at the University of Northumbria at Newcastle for the MA (Hons) programme in Autism. For Autism Works, Lynne provides professional advice and assessment on employment and personalised employee support. From an education background, Philip currently teaches Advanced Level Mathematics to post-16 students. As a trustee of ESPA, Philip provides advice on educational matters to Autism Works. Formerly a Deloitte Partner, after his consultancy partnership was acquired by Deloitte in 2005, Warren works with a number of clients providing independent strategic advice, with a preference for helping SMEs. Warren’s 15 years of expertise and experience in Consultancy covers a wide range of specialties, including; business development strategy, consulting, due diligence, business development, sales management, acquisitions, international growth, market entry, interim management. Warren has a good understanding of IT, having worked with many clients, most notable Microsoft for 10 years. Warren’s early career was working in Sales, working his way up from Sales Exec. to National Sales Manager.